John Terry: Talks of being benched, Honesty from Conte and hopes he does not play again this season. John Terry is set to be named on the Chelsea bench for the trip to Anfield tonight and in an interview due to be aired before the game, he states that he hope he doesn't play for Chelsea again this season - because the team keep winning. 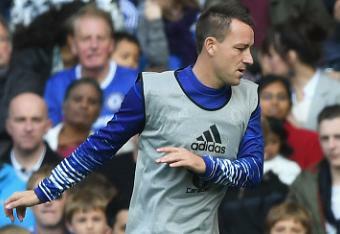 JT is the ultimate professional and Captain and his latest interview highlights exactly that. We have all seen his posts through Social Media as he works his arse off throughout the summer and ahead of a new season. Having to settle for a one-year rolling contract because of the clubs policy for players over a certain age, JT has worked so hard to keep fit and to put himself in contention for selection in this and every other season he has been here. Think back to the end of last season and our last home game at the Bridge. JT was in bits as at that point it wasn't clear if he would be offered a new contract to extend his time here into this season. On recommendation from Antonio Conte, JT signed a one-years extension and everything looked positive as we waited for the season to start. With JT in the side, Chelsea won three out of their first four games in the Premier League and everything looked good for our Captain. However, two heavy defeats to Liverpool and Arsenal changed all that and the manager made a tactical switch that has changed the course of the Premier League season. However, for John Terry, he is yet to make a Premier League start since the Arsenal defeat back in September and has had to settle for appearances in Cup competitions instead. "First and foremost the team is flying, playing unbelievable. I’m training unbelievably, you have to, you do things the right way because the love of the club and how much you respect the club and how good the club has been to you over the years." - Source: Daily Mail. The ultimate professional and an inspiration as our Captain. You could imagine that it would be so easy to get the arse with not playing, especially as you are beginning to wind down your career, to throw your toys out of the pram and demand to leave (or go on strike - Payet!). Not JT! He continues to set the perfect example by training hard and showing both the manager and the club respect by doing so. If needed, he would come on and give it 100% without fail if it was for five or fifty minutes, he is an absolute legend. I agree with him. I hope he doesn't play again this season!